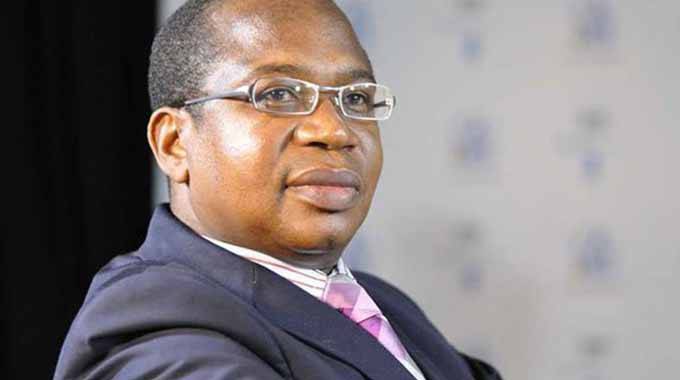 Zimbabwe’s annual rate of inflation will drop drastically to single digit levels in October this year because the disparity between the baseline index for that month compared to the same period last year will be much lower, Finance and Economic Development Minister Professor Mthuli Ncube has said. The country’s annual rate of inflation rose sharply to a record 20,8 percent in October 2018 after it gained 15,46 percentage points on the September 2018 rate of 5,39 percent, the Zimbabwe National Statistical Agency reported then. Inflation remained relatively high up to the month of December 2018 reaching 42,09 percent, as pass through effects of premiums of black market forex took toll on prices. Businesses and individuals who cannot get foreign currency under the central bank’s priority list allocation framework resort to buying the hard currency on the black market. While delivering a lecture to students of the National Defence Course-Intake 7 of 2018 at the Zimbabwe National Defence University in Mazowe on Thursday last week, Minister Ncube said annual inflation will subside in October. The Treasury chief said the technical explanation to the expected development was that annualised inflation vaulted after September 2018 because of the big step up to higher index in October 2018 compared to the same period the prior year. As such, the magnitude of the baseline index for October 2018 and October 2019 will be much smaller, as they both will reflect already elevated prices, hence annualised inflation will be much lower, dropping to single digit from current levels. “Our challenge remains inflation and here we have a technical phenomenon. You see, what happened in October last year, because of the separation of the FCA accounts, the market understood that to mean there is different valuations, that there is movement from 1 to 1; but we have maintained that conversion (exchange) rate at 1 to 1. “And what has redeveloped is a premium in the alternative market. Our position or policy as a Government, because we want to preserve value, we have maintained the 1 to 1 conversion rate to make sure we preserve value for the nation, for everyone. “But nevertheless inflation took off because of speculative action in the market and the last figure that we saw was 42 percent (December 2018); but there is a technical phenomenon to this. “When the CPI index shifts to a higher level, compared to last year, that already puts you at a higher land and you run with that right through the year. So you find that, for a good part of this year inflation remain high at double digit. “And then come October, when inflation moved up in 2018, the base shifts, then you find that inflation drops sharp in October 2019, that is our expectation that it remains high technically and then shrinks in October,” the Finance Minister said. When the rate of inflation is too high, it is not good for the economy or individuals because inflation will always reduce the value of money or savings. And the higher inflation gets, the less chance there is that savers will see any real return on their money. Prof Ncube said Treasury’s inflation projection was that month on month inflation was projected to remain in the lower double-digit region. “Month-on-month inflation is expected to further slowdown in January, while year-on-year figures are expected to remain relatively high due to the base effect and the pass through effects of the parallel exchange rate. “The major driver of inflation during 2018 is the pass-through from the parallel exchange rate, which despite stabilising has been gradually feeding into the pricing of goods and services,” he said.